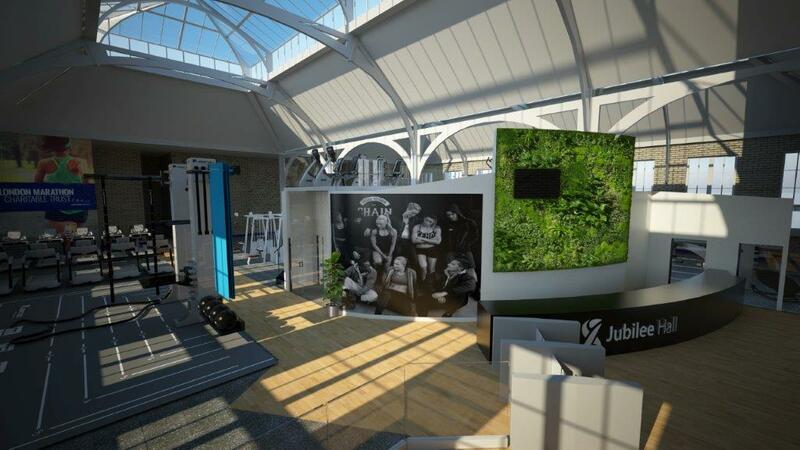 A major refurbishment of the Jubilee Hall gym in Covent Garden will be starting in April. The £650,000 project, partly funded by a grant from the London Marathon Charitable Trust, will see a significant improvement to the member experience in the iconic Grade 2-listed Victorian warehouse building. The work includes the creation of a new indoor cycling studio and cardio mezzanine floor, a new reception desk, backed by a living wall, and the relocation and upgrade of the existing café. The work is set to start on the 6th April and continue for a period of five months, with completion due at the end of August. The club will continue to operate throughout the programme of works, with efforts made to minimise disruption to members and users.